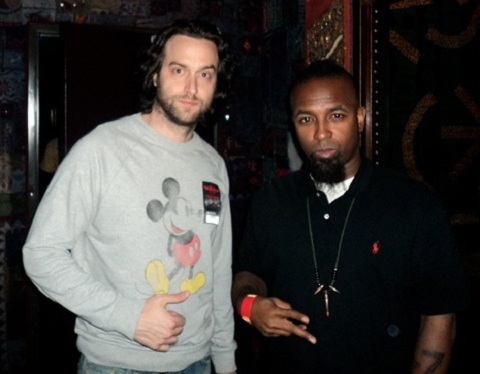 Following his heavy praise for the Kansas City King, comedian Chris D’Elia finally came face to face with Tech N9ne during the West Hollywood stop on the Hostile Takeover 2012 Tour. In an exclusive interview with Socially Awkward Radio, Chris recalled the experience and spoke on his career in comedy. Discussing his involvement with Strange Music, Chris discussed the initial tweet that led to his connection to Tech N9ne. He also went on to speak on his first live Tech N9ne experience on the Hostile Takeover 2012 Tour and expressed his excitement over meeting the indie giant. The interview also covered his career in stand up and in television, including appearances on Glory Daze, Workaholics, and his current role on NBC’s Whitney. Listen below at the 19:00 minute mark. What did you think of Chris D’Elia’s comments on Tech N9ne? Are you a fan of his comedy?